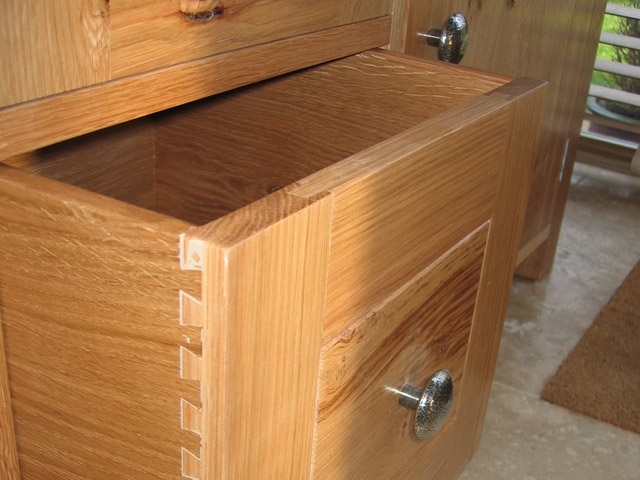 We were asked to design and produce several pieces of bespoke furniture in solid American white oak. 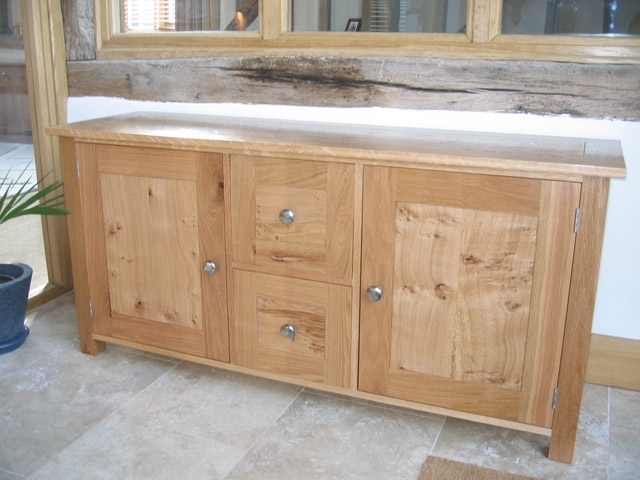 The first image here is of a TV display cabinet, with pippy oak inserts into drawer front and top. 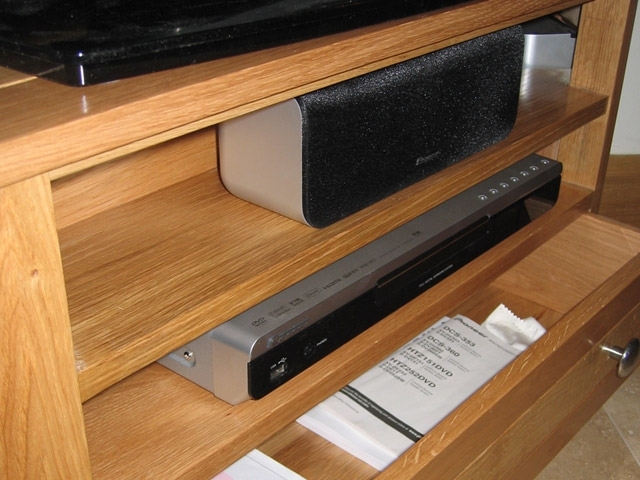 The unit has built in speakers on each side and the drawers are fitted with pewter handles. It has a natural matt finish. 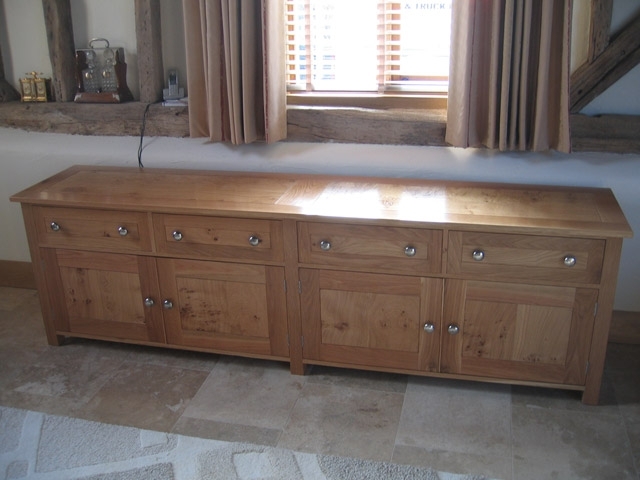 Other items of handmade furniture produced for this client included a dressing table, built in wardrobes and office furniture. We found the company most friendly, professional and reliable. 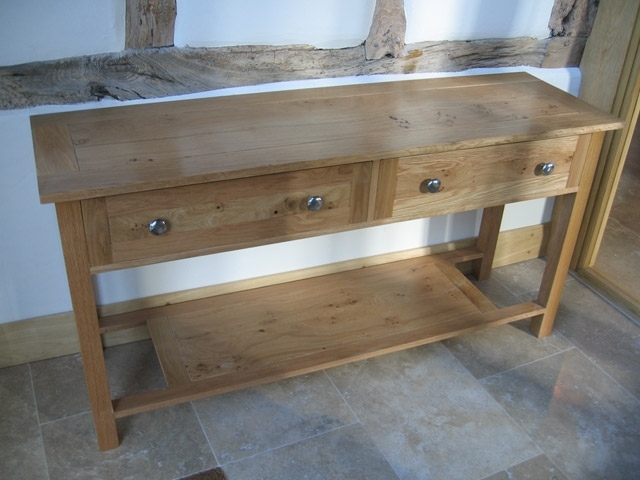 We had a number of items of furniture made, including dressing table, built in wardrobe and office furniture, and it was all installed on time, and efficiently. 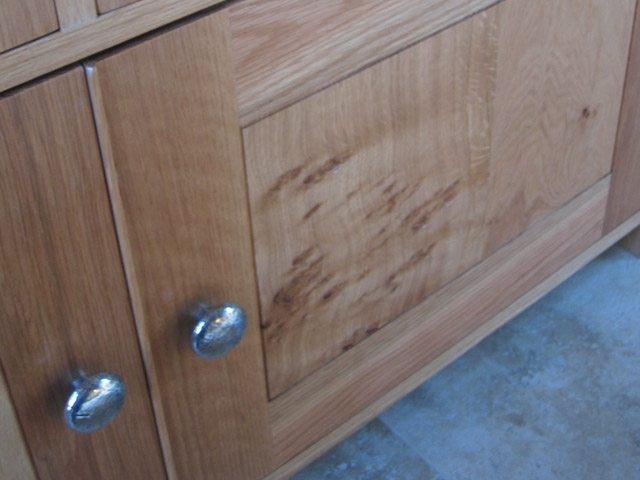 The quality and finish of the workmanship was extremely high. We will be ordering further items of furniture in the near future and would not hesitate to recommend the company to any of our friends.